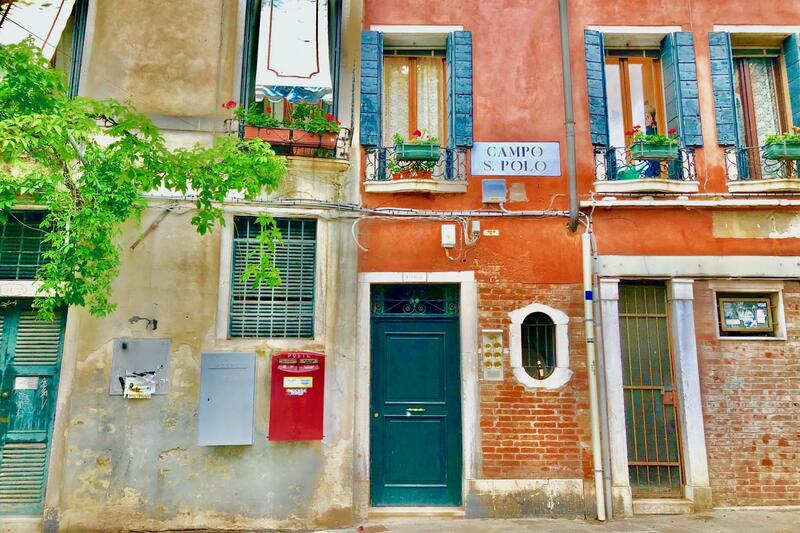 A fascinating private walking tour of the ancient area of San Polo, one of the six districts of Venice. Your private guide will accompany you on the discovery of this renowned area, once the heart of the commercial part of the city and now a popular residential area. Learn about the lives of bankers, brokers and merchants, as they conducted their affairs by day, and their less than official nocturnal affairs, with the local ladies by night! 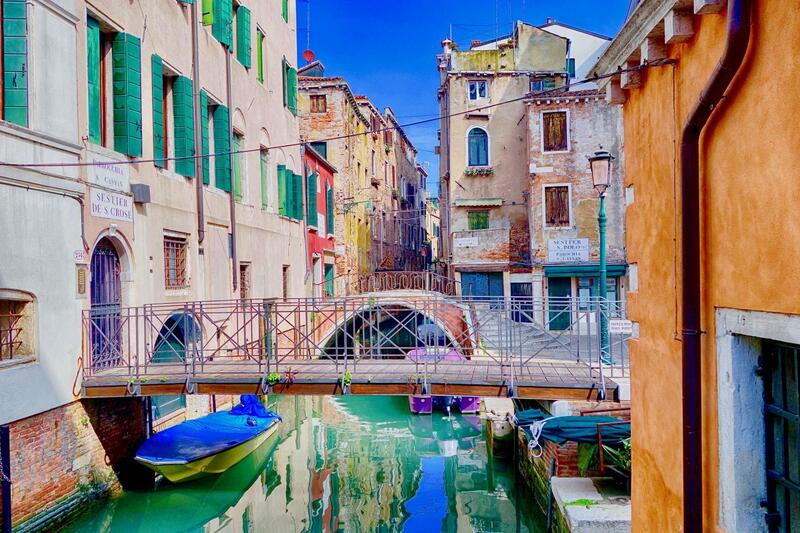 Our expert guide will give you the low down on how Venice was one of the most revered cities of trade, where East met West, and exotic items such as silk and oriental spices were traded along with copper and wood. Discover the history behind the Venetian’s love of all things luxurious, including what were the residential palaces of the local courtesans. Be entertained by illuminating stories of decadence and secrets of these often-accomplished musicians & brilliant conversationalists, and sometime used as spies for the State! 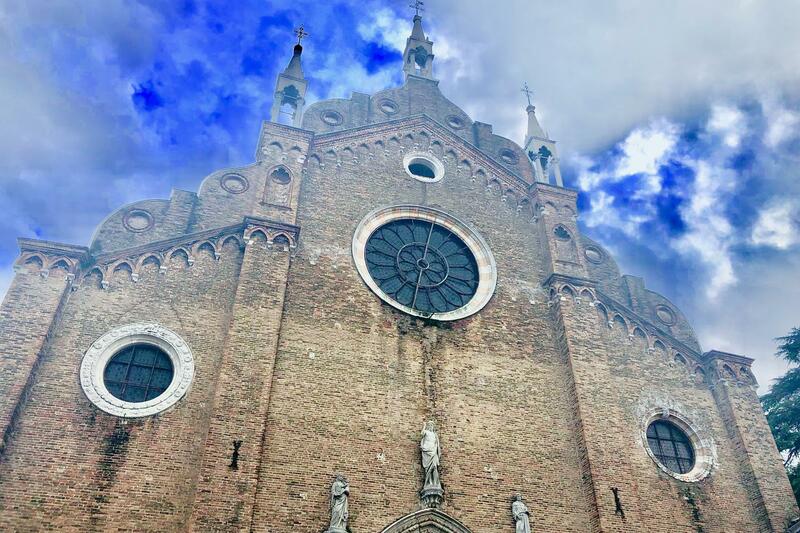 The second part of this tour will provide you with the opportunity to admire the gothic Frari cathedral which dwarfs the Eastern section of San Polo. Admired not only for its sheer size, and its striking interior but also for the numerous and highly respected quality of its works of art. Home to masterpieces from Renaissance Masters such as Titian and Bellini, it is hard not to be moved by the sculpture of Antonia Canova’s tomb. A must for all art lovers! 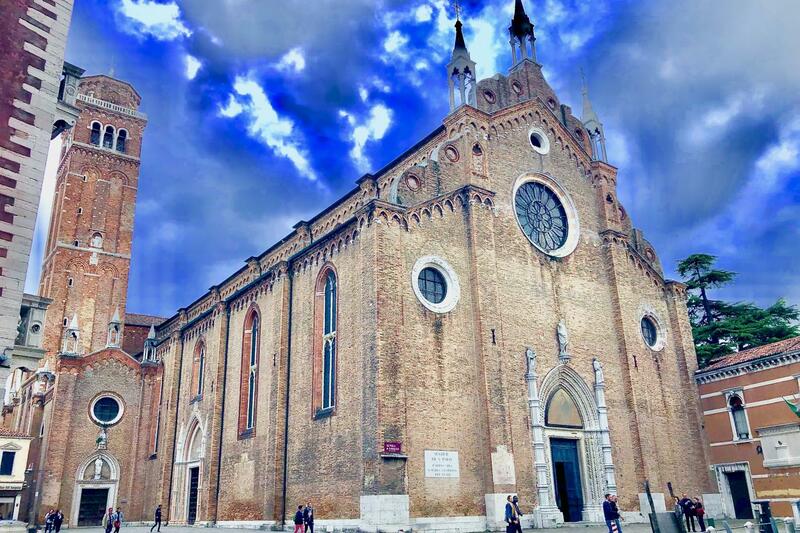 See the interior of Frari Church with its masterpieces by Titian and Bellini, the Monks' Choir and Canova's tomb. 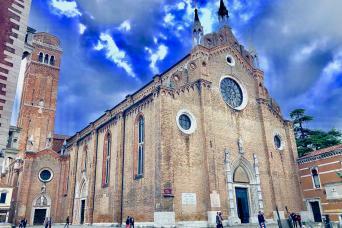 Free Hotel pick up on request, if your hotel is in the Saint Mark’s Square area. For larger groups, please make separate request. Statue of the Gobbo di San Giacomo.